A young Englishwoman of title visited this country recently she expressed astonishment at the ignorance of the art of formal social behavior which American girls displayed. 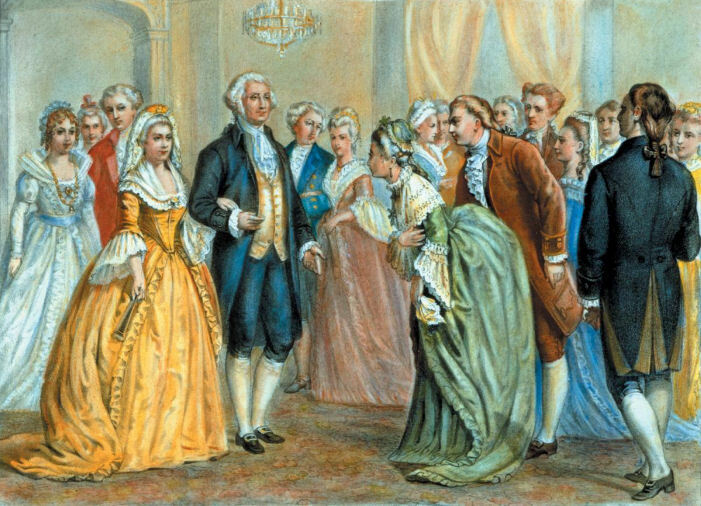 They did not know how to bow correctly, the curtsey seemed to have become an obsolete social form here; they had not learned the graceful way to proceed down the length of a receiving line, and there were countless other social manners and customs, held in high esteem by foreigners, which seemed to have been neglected in the early training of American girls, she said. 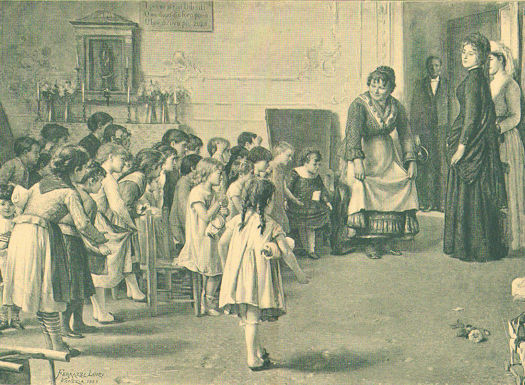 Children learning how to curtsy from an 1890 German Print. Then it happened that teachers of social decorum began to consider how to improve the girls’ social bearing, and in looking over the field they decided that a touch of quaintness and old fashioned forms would be both charming and suitable. 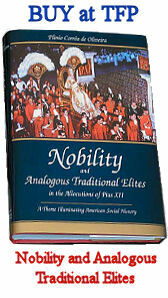 So the curtsey was introduced, and now it is one of the first lessons in etiquette taught the schoolgirl. 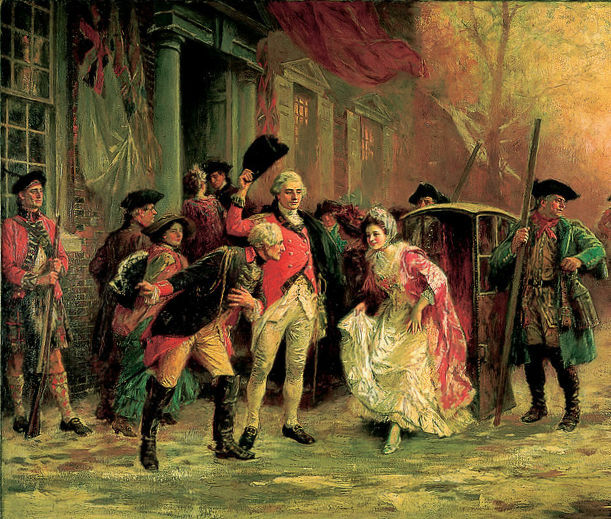 Arrival at a ball in Colonial Philadelphia by J. L. G. Ferris. 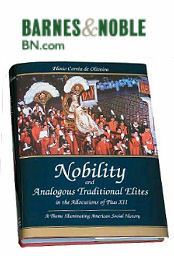 Its revival is expected to have a decided influence on the deportment of the future debutante, for with the development of the curtsey there is gradually growing a more formal attitude among young persons toward older men and women. 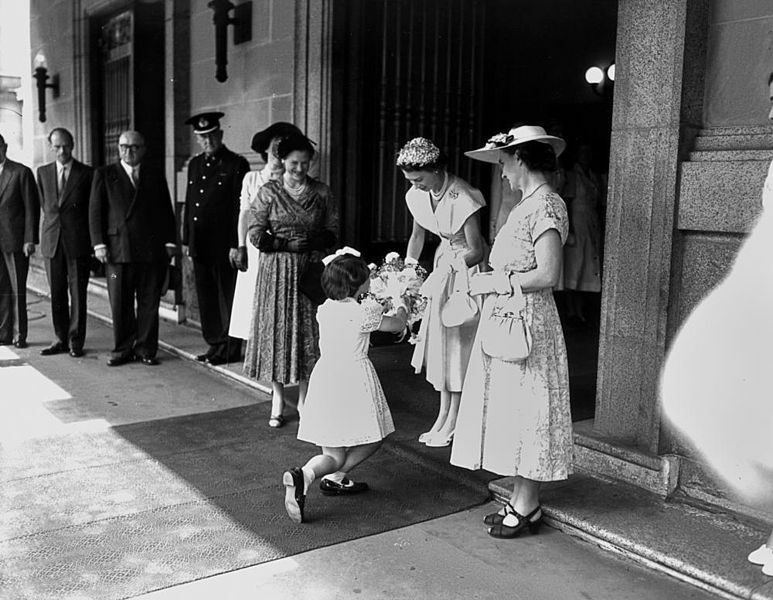 A young girl curtsies as she presents a bouquet of flowers to Queen Elizabeth II outside Brisbane City Hall in March 1954. The curtsey is a charming greeting from youth to its kind, or from youth to its elders. 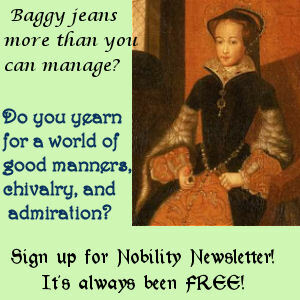 It is graceful, quaint, has dignity and respect in every movement, and when well executed is as attractive as any form of greeting we have. Young girls master its intricacies of movements readily and after a few lessons are as quick to adapt it to social life as were their grandmothers. 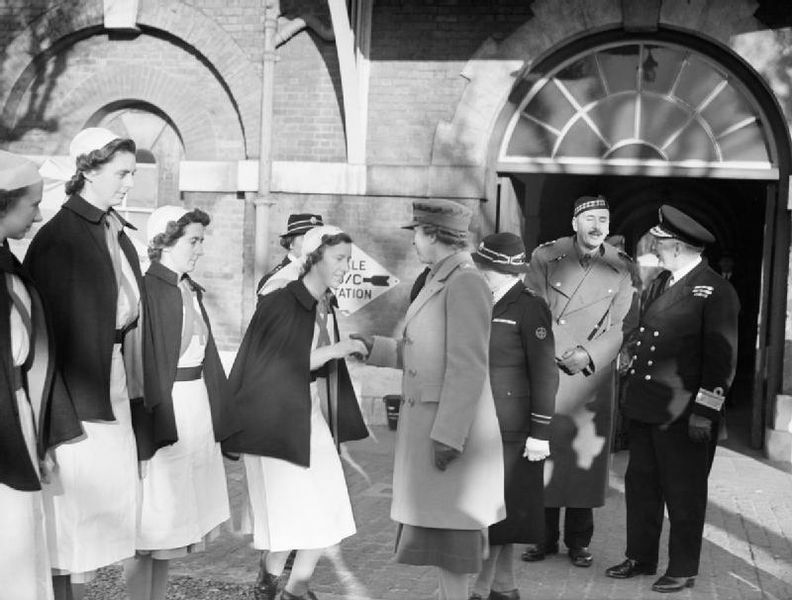 One of the VAD’s curtsies to the Princess Royal during her visit to the Royal Naval Hospital Haslar, in Gosport, January 4, 1943. One grandmother who had not seen her grandchildren since they were in the pinafore stage was surprised the other day to observe one child, aged 15, curtsey to her mother’s friends in the drawing room. It was the hour before the serving of the informal dinner to which a few friends had been invited and the children were having 10 minutes’ enjoyment with the “company.” When the time came for the little group of boys and girls, ranging in aged from 8 to 15, to withdraw while the older persons proceeded to the dining room, each little one curtseyed gravely and gracefully.